Voices from the Field: RSY vol.10 Bokke　soup festival is coming soon! / ► RSY vol.10 Bokke　soup festival is coming soon! RSY vol.10 Bokke　soup festival is coming soon! Bokke soup festival is coming soon! There are many fishermen in Shichigahama. 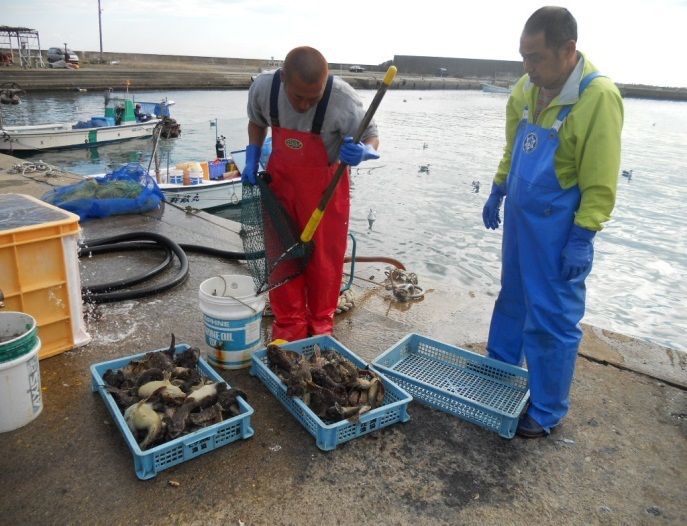 Mr. S is a third generation fisherman who mainly dives to harvest sea urchin, abalone, and so on. During periods when harvesting of sea urchin and abalone is banned to prevent overexploitation, he uses other methods like gillnetting or fishes for conger eel. He fishes all the year round, using various fishing methods to suit each season. 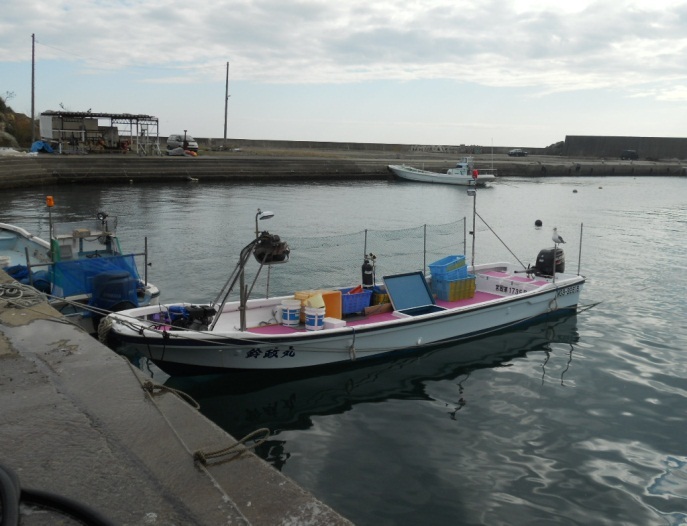 His long-awaited new fishing boat was launched on Oct 28th, 2011. These days he goes fishing everyday in this new boat hoping for a large catch of bokke, a kind of fish that Shichigahama is known for. While there were only 1 or 2 sheds operating at the port at the time of his boat’s launching ceremony, now there are 5 to 6 sheds. 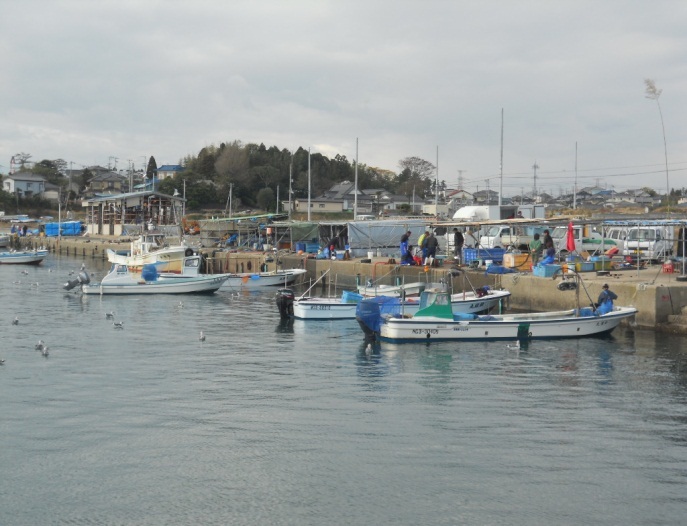 The fishing port is gradually regaining its vitality. It was decided that the “Bokke” festival will be held on November 12, set for lunch time, in front of Kizunakan volunteer center. Bokke soup will be served as the main dish along with fresh crab, etc. We will ask the RSY volunteers, who will arrive on Nov. 12 -13 by volunteer transport bus, to help this event. We are also planning to serve bokke soup at a meeting which will be held at RSY Nagoya office on Nov. 19th, 2011, asking Mr. S to catch and send bokke to Nagoya. In addition, we plan to have a spot sale of slices of fresh bokke. To the volunteers who went to Shichigahama by volunteer transport bus but didn’t have a chance to eat bokke because it was out of season at the time – please join this event! And please feel the local fishermen’s spirits! 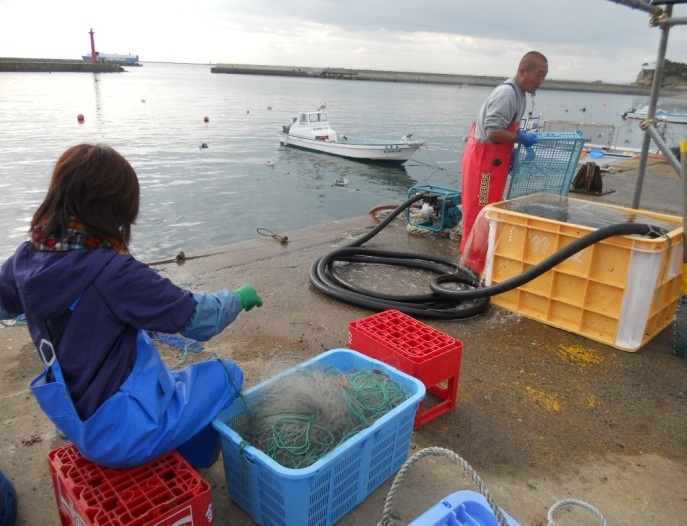 We ask you all for your continued support for the tireless Shichigahama fishermen. Re: RSY vol.10 Bokke　soup festival is coming soon! Hi Urano san, great report! It is a truly inspiring story. May I join RSY group going to Shichigahama on November 12? I haven't had the opportunity yet to help out in any way I can in the recovery efforts.